Work more efficiently with the CME Vault. Doctors can claim their CME whenever they want. Administer online evaluations such as a Post Test or Survey. Doctors can print/save their own certificate. 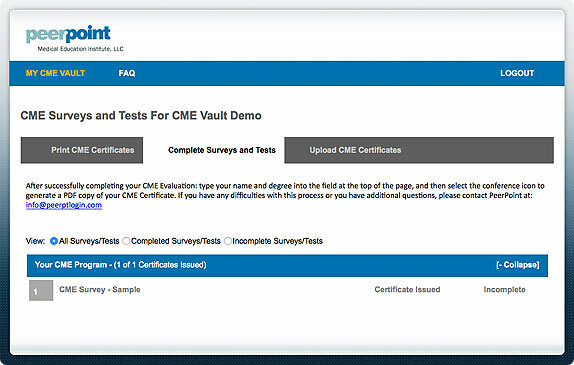 Click Here for a look at a sample of the CME Vault.